Great pictures! 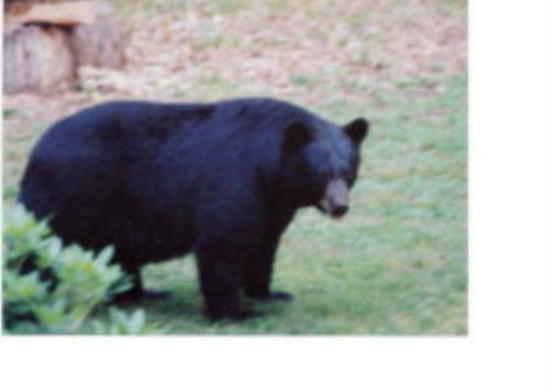 I would love to see a bear with her cubs! I have a little mystery that it might be worth mentioning here, in case anybody has an idea. A couple of weeks ago I went to the Cotswolds with my boyfriend and a friend of ours. The wildlife there was amazing, we saw a whole herd of deer and a little muntjac deer, I'm not knowledgeable enough to identify all the birds we saw but there were a lot! But we were walking in a forest when my friend stopped and motioned for us to look up a tree. I just saw something dart up the other side of it as I looked but, although we stood watching for quite a while, nothing appeared again. So I asked my friend what we were looking for and he said it looked like a squirrel, but it was black and white! Specifically, he's absolutely sure it had a white section on its tail. He thought it might be some kind of escaped exotic pet, but there was an obvious squirrel nest further up that tree (which is where I assume it disappeared to) so I do think it was a squirrel. I googled black and white squirrel, on the off chance that whatever the thing was might show up and, weirdly, found a story on the mail online about a woman who had seen both a very rare white squirrel and a black squirrel in the same tree, in the Cotswolds! It could be unrelated, but it seemed an odd coincidence. I also wondered if it could be a varied stage of albino. I know this can happen in birds because I remembered seeing a display of blackbirds with varying levels of albinism in the natural history museum on a school trip, some only had patches of white feathers but were otherwise black. So, does anybody have any suggestions on what the 'black and white squirrel' was? When I was a youngster I would spend many a day in the woods with friends playing. It was common for us to hike 5 miles or so. In all my time though I have never seen a piebald squirrel. I bet they all miss you, Muggles Did you have a photo one time of the bear in your porch?? poppy, I probably miss seeing them more than they miss me. When we lived in our house in Virginia it was probably our most enjoyable time. We loved living there. Their names in the same order as the photos? No, I mixed them up. Lazy, Trouble, Posing, Looking ? I will wait 1 or 2 more days to see if there are any others that want to take a guess at the names before confirming them. I heard a cuckoo today, first one for years, possibly ever! 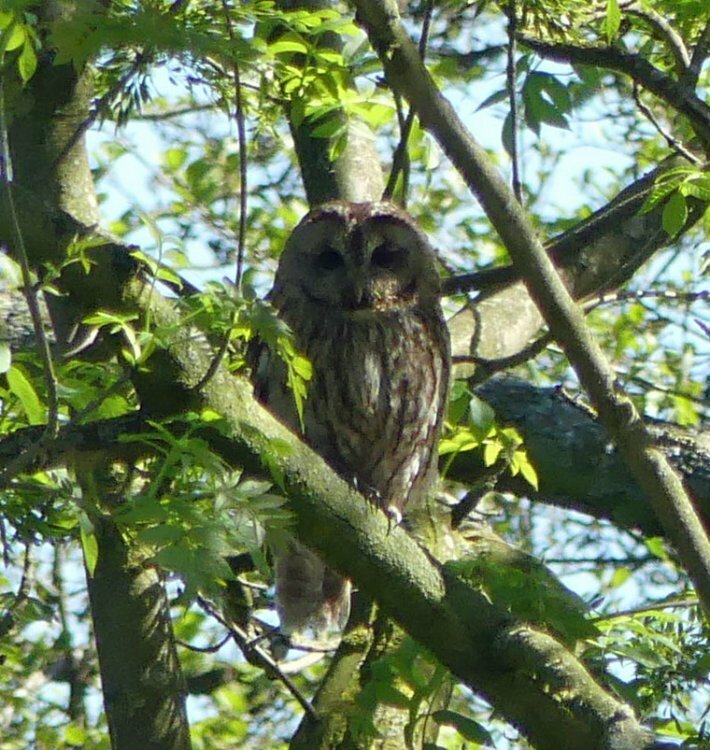 Aside from that one I saw a couple of weeks ago, I've not heard or seen one since. They're getting rarer and rarer, but then we're busy wrecking habitat as fast as we can! I remember when....the cuckoo was one of the markers of spring, when we heard them regularly. I've been sorting out my recent photos, so here is a small selection. The owl is the one mentioned above in #6. 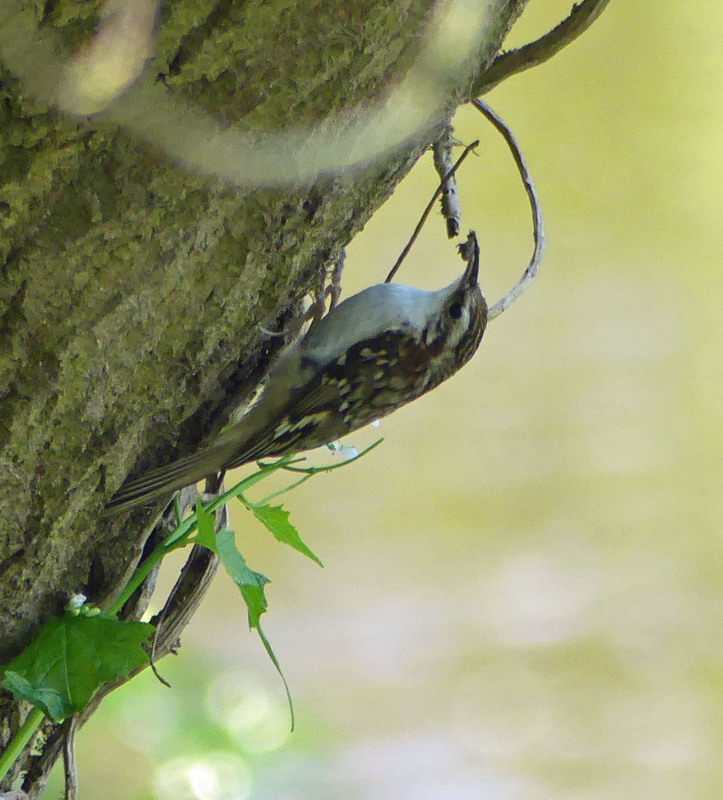 The others (swallow, treecreeper, mandarin duck) were all on the same walk. I took loads of the swallow posing beautifully in the sunshine, mostly sat calmly viewing the world, but this one showed just a little bit of the beautiful tail pattern they have. 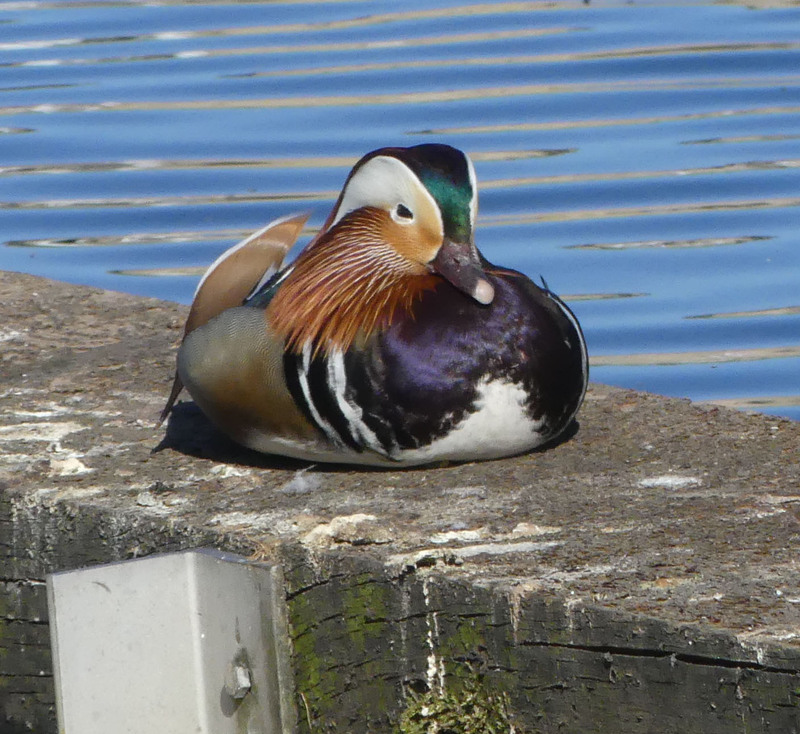 The mandarin took me completely by surprise, sat on the weir at Otley. They breed further up the river, but are less common along this section; a bird that people are more familiar with in exotic collections and parks, but actually quite a rarity in the wild. They're lovely pictures, well done. 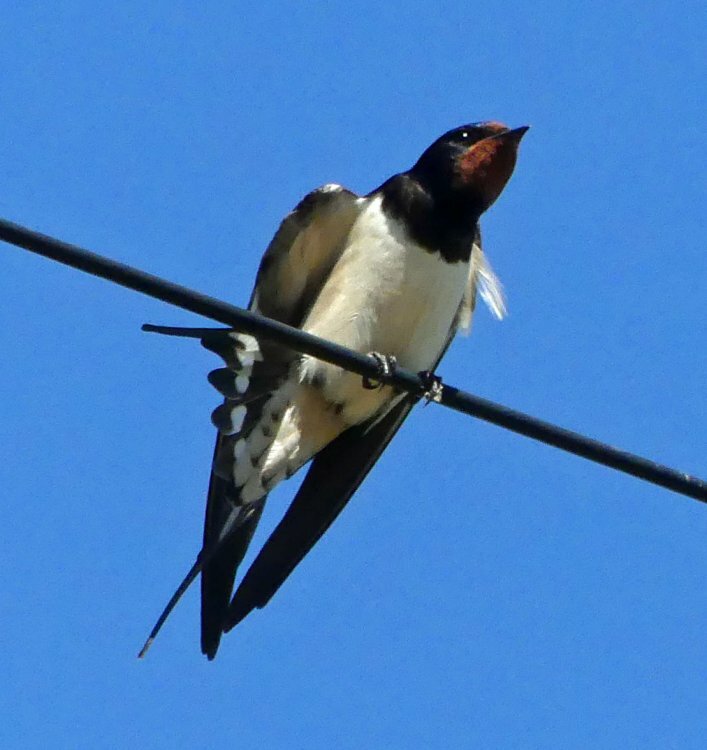 I also saw a swallow yesterday, sitting on a telephone line. And we managed to startle a deer when we were clumping through the woods! My neighbors. 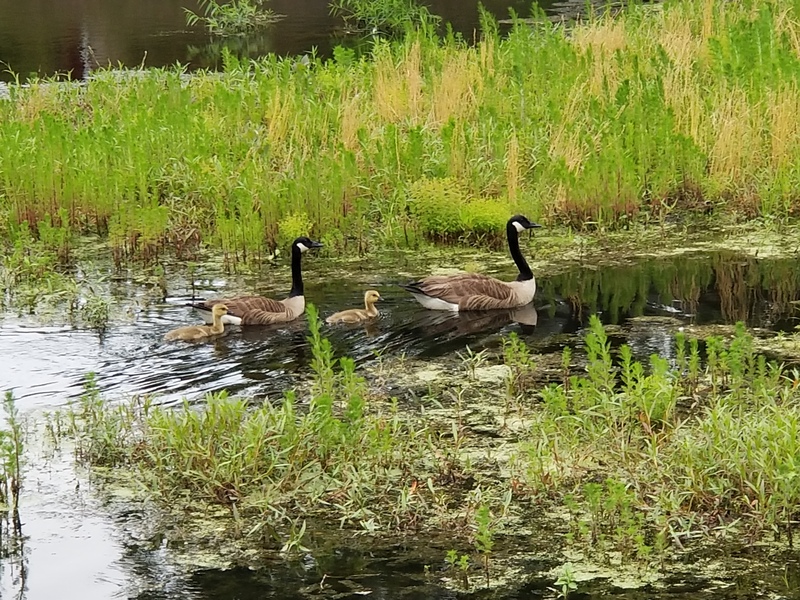 They inhabit the lake adjacent to my backyard. Willoyd, those are some great close-ups of those birds! Virginia, that's pretty special! Great picture.